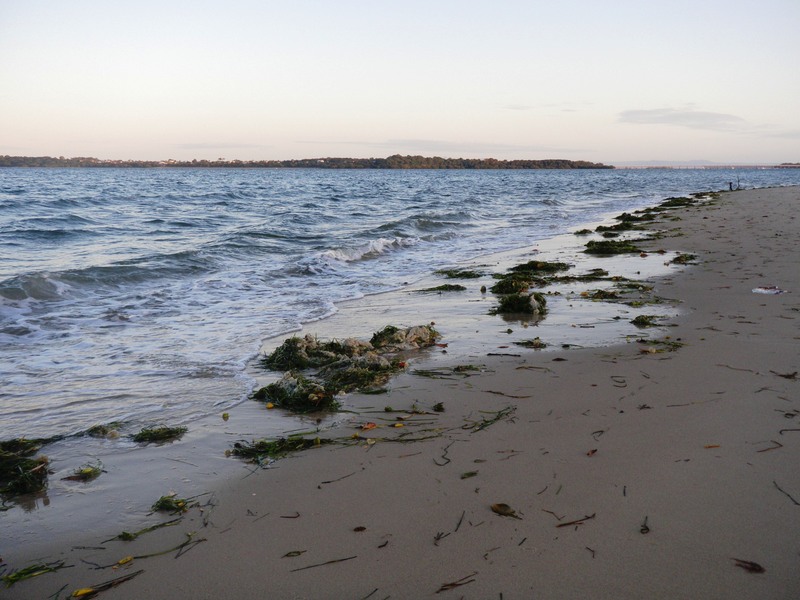 Unfortunately it was a disappointing morning’s fishing at Bribie Island. The fish are there but the wind and weed are conspiring to make them very hard to catch. The wind was forecast at 10 to 15 knots from the south-east, but when I arrived at the island jetty around 5.15 am, it was blowing at least 20 knots from the south-west. A few brave souls had been fishing off the jetty since about 1.00 am, but all they had to show for their efforts was a thick carpet of ‘snot’ weed. The wind was building so I decided to go back to fish under the bridge – where conditions would be a little calmer. The tide had just turned and was beginning to run in. This added to the weed problem. Almost every cast, the jighead and plastic ended up covered in weed. After a couple of nudges and touches, I caught the first fish of the day, in close to the bridge pylons. It was a small Tailor around 20 cm long. I was fishing with a GULP 4” Minnow soft plastic in the Pearl Watermelon colour, on a 1/6th 1 jighead. I had a few more bites here and even found a couple of Pike. As the sky began to light up, I moved back down to the mouth of the tidal lagoon near Buckley’s Hole. By now, I could only just cast over the edge of the big drop off, as the tide was coming in, fast. It was pretty choppy and the swell was building. Every other cast was still covered in weed, but eventually I felt a decent hit and some good head shakes and I had another Tailor. This one was about 35cm long and it had grabbed a GULP 5” Jerkshad in the Pumpkinseed colour. 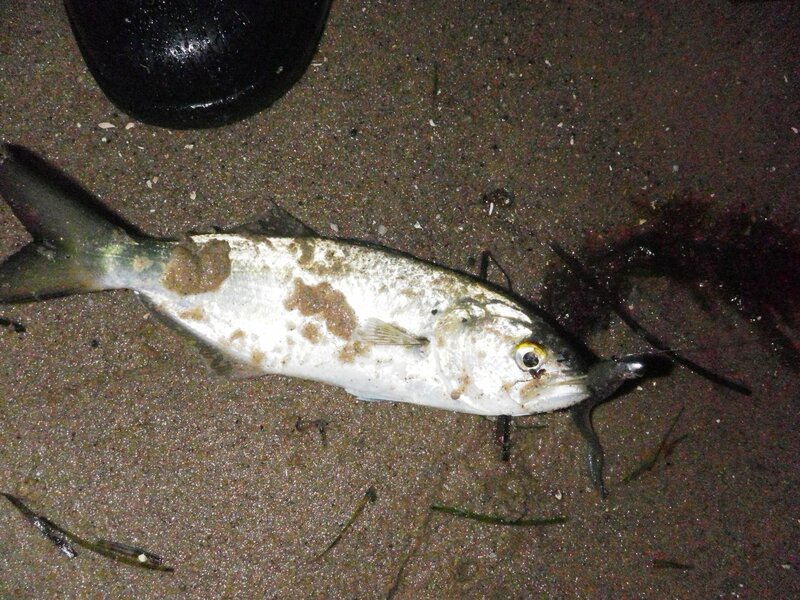 I released it and carried on wading south, along the shoreline. The wind was still blowing hard and the tide was pushing me further and further away from where I wanted to fish, so at about 7.30 am – I gave up. I have had enough of the wind and weed! 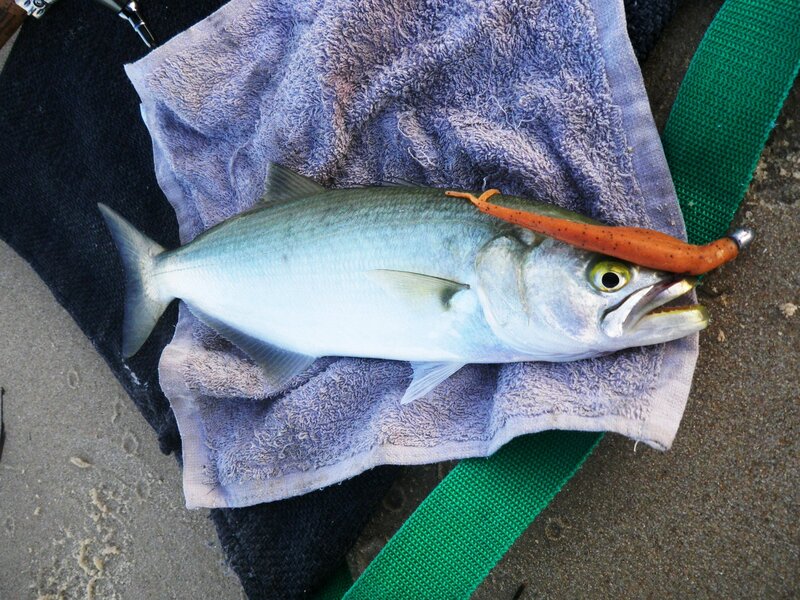 This entry was posted in Bribie Island, Fishing Reports and tagged Fishing for Tailor on Bribie Island, fishing from the shore at Bribie, Tailor on soft plastics, weed on Bribie Island. Bookmark the permalink.